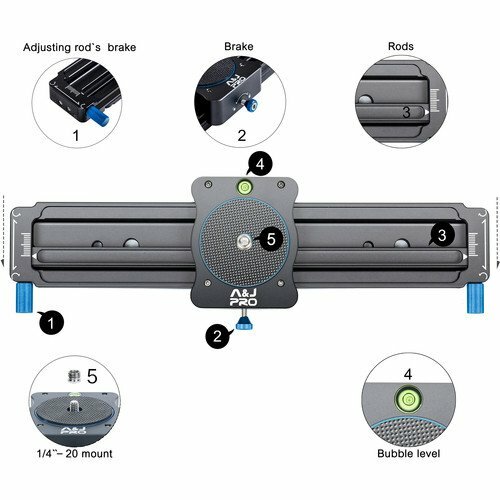 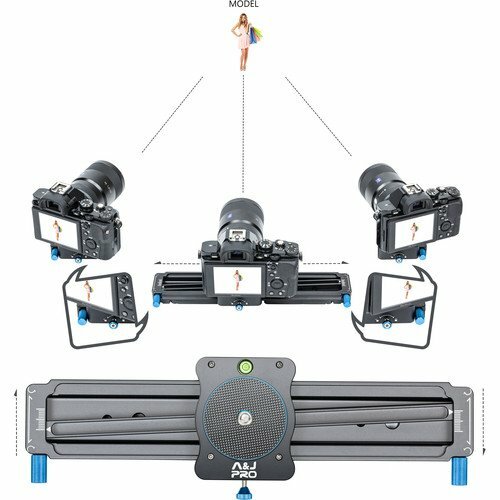 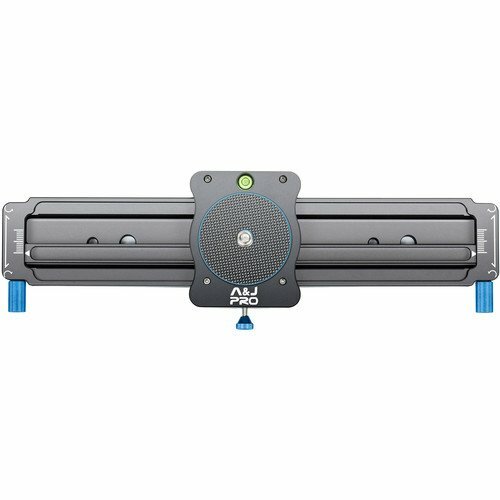 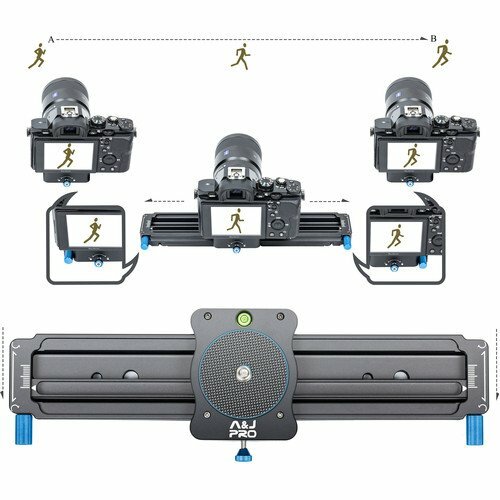 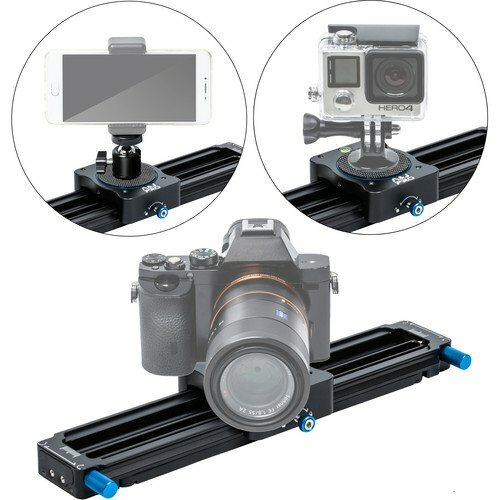 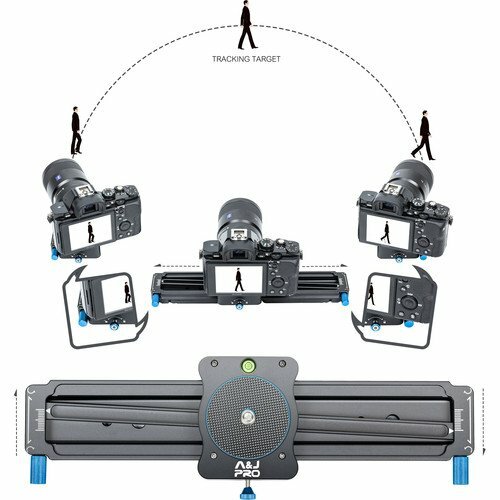 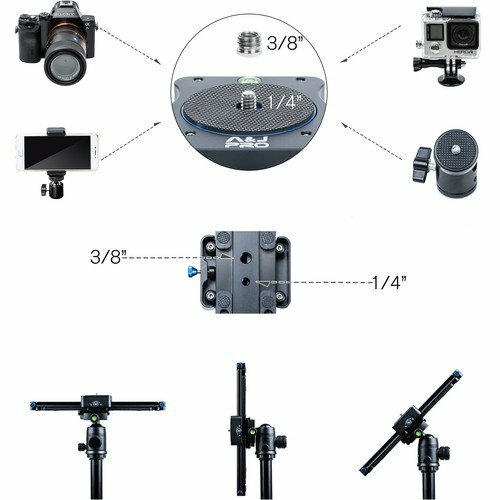 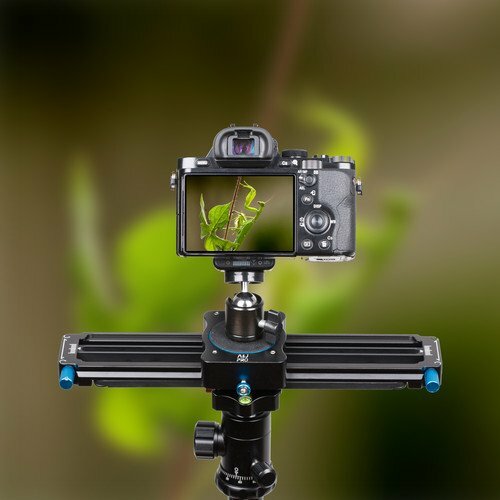 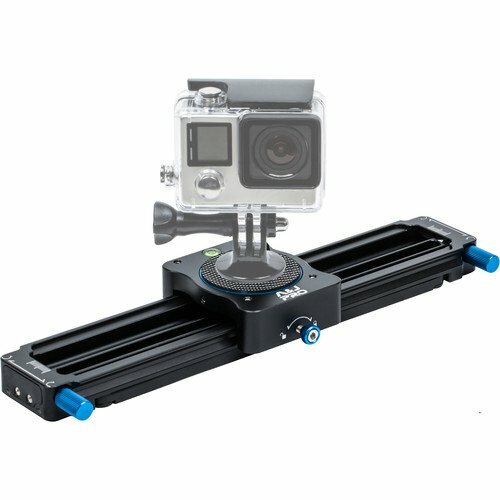 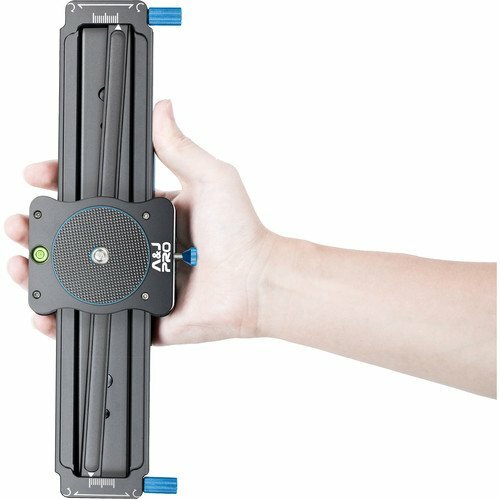 A&J Pro Mini Camera Parallax Slider 11"
The 11″ Mini Camera Parallax Slider from A&J PRO offers a 7.5″ sliding distance and is designed for select action cameras, smartphones, pocket cameras, and lightweight cameras. 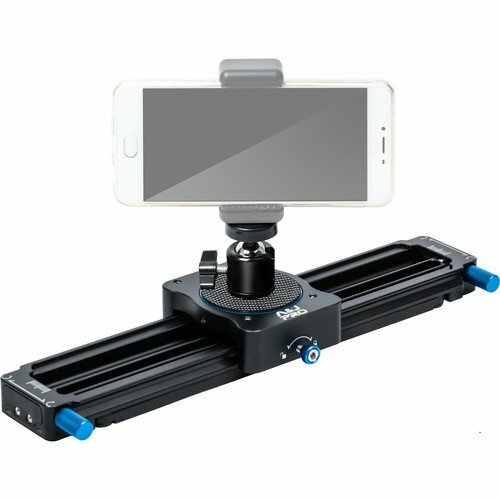 It features a small, portable design and is made of aluminum alloy with CNC processing. 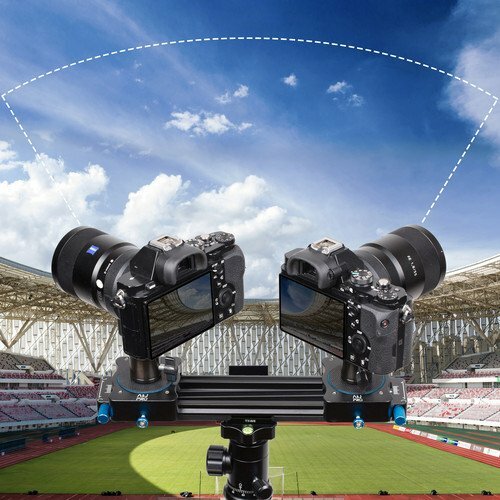 You can capture wide-angle and follow focus panning shots with a maximum angle of 90 degrees. 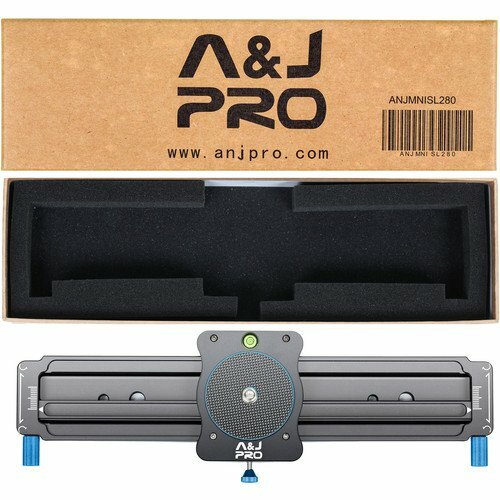 Box Dimensions (LxWxH):	12.6 x 4.3 x 2.7"